Fundraiser by Betsy Klein : WE SAVED 179 Dogs and Puppies!!! WE SAVED 179 Dogs and Puppies!!! Happy to report 179 dogs and puppies were saved. Please read the latest update for the details including where funding was spent and some outstanding items we have to finish that will need financial support. We have been granted the 30-day extension by the judge and still have many dogs to place before 11/2 now. If you are an established rescue or experienced adopter please send me an email and I will direct you to the right person. If you are experienced transporter we would also like to talk with you. There is NO REASON to email or call HDW or Lassen County - they are all in agreement with this ending with the best possible outcomes for all the dogs. We have a written, signed legal document from HDW as well as a plan of ongoing follow up to ensure this never happens again. We still have a long way to go. Your support is greatly appreciated. SEE UPDATE - RECEIVED AN EXTENSION OF 30 DAYS IF JUDGE APPROVES! DESPITE OUR BEST EFFORTS OVER 80 DOGS and 26 PUPPIES WILL BE EUTHANIZED in Lassen County, CA. 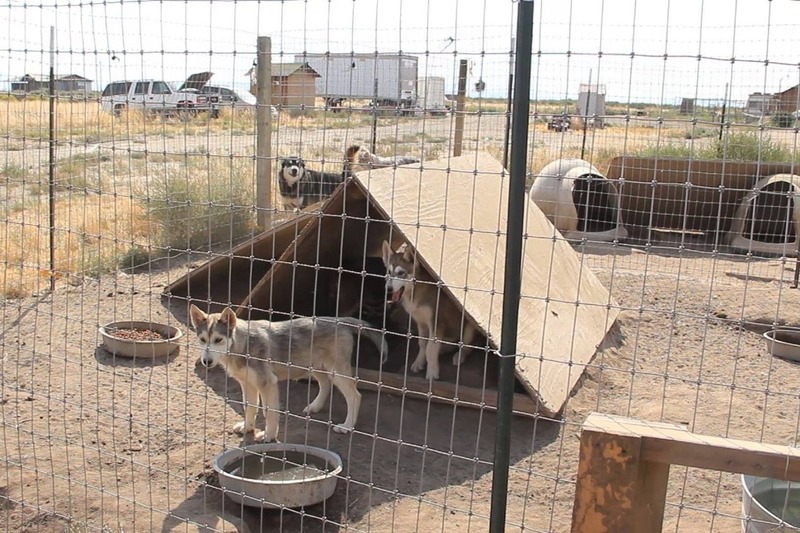 High Desert Wolves will go to court on 10/5 for execution of an Abatement Warrant which means the County will go onto the property and seize all adult dogs in excess of a quantity of 25 and euthanize them. We have asked Lassen County to halt the Abatement Warrant process and give us a chance to help the animals. We have provided them with a detailed Rescue Plan and an update on the progress to date – OUR EXTENSION WAS DENIED. We MUST SAVE as many of the adult dogs as we can (the County will not seize the puppies under the age of 6 months.) We have 12 adult dogs vaccinated and ready to be placed NOW. We will move all others as safely and quickly as possible and work with fosters/adopters on vaccinations and alterations. MANY are RESCUE/SANCTUARY ONLY or EXPERIENCED adopters and we will work with interested parties on the costs to take them. PLEASE HELP US SO OVER 80 DOGS DO NOT DIE. They are the innocents in this case. Contact us immediately to help with placement (even if temporary), transport, and donations. Dogs are starving and breeding uncontrollably. Out of control puppy breeding in Northern California of Northern Breed mixes has been ordered to shut down. The dogs are not being fed and will starve to death without funds to pay for food. We are in the process of finding organizations to help place these gorgeous animals to prevent them from being euthanized by the local authorities. Many dogs are not neutered or spayed and continue to produce puppies making this situation more precarious. Currently, we have over 30 puppies that need homes with two litters on the way so most likely 40+ puppies that will need to be saved. We need funds to pay for fixing all the animals to prevent breeding. Once fixed and assessed we will be adopting out to homes and sanctuaries. We are not charging a fee to adopt these animals however each potential adopter must fill out an application first. You may adopt. But please donate first. The dogs are being kept in cages and pens with no ability to stop their breeding and are in unhealthy conditions. Two new litters were birthed just a few days ago and two more females are pregnant. We must get these dogs fixed. Time is of the essence, animal control is holding off on seizing and euthanizing these dogs if we can make progress by stopping the breeding, keeping them fed and finding them homes. Please note we are requiring an application and home checks so we are currently only placing in the Western US. It is not right for these beautiful animals to be euthanized. Over 30 amazing puppies need a home and if you are considering adopting a pet, this is a great time to reach out a hand in saving a life. Currently, feeding approximately 90 dogs to keep them alive costs $200 a day. 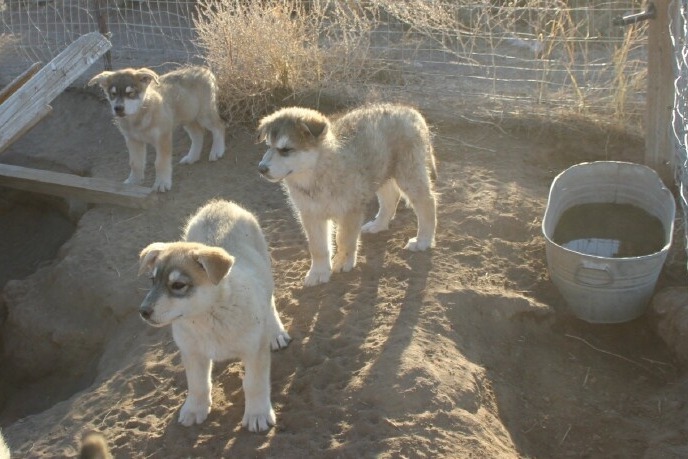 Your donation goes to feeding these dogs as well as getting them fixed to prevent further breeding amongst their population. We need to get health certifications which a very kind vet specialist has offered to do for all the dogs for $20/each. This certificate of health makes it possible for us to get these little loves placed in homes or sanctuaries. Any amount helps at least feed. It is urgent that we get the funds to complete our goal as soon as possible because this is a very time sensitive issue at hand. Animal control is trying to euthanize all these animals and the sooner we can get them fixed and a health certificate the sooner we can get all these dogs into homes and sanctuaries. Any amount helps and is greatly appreciated. As members of a community sometimes it is necessary to come together and clean up the mess of others and at this time these dogs are in dire need of our help. 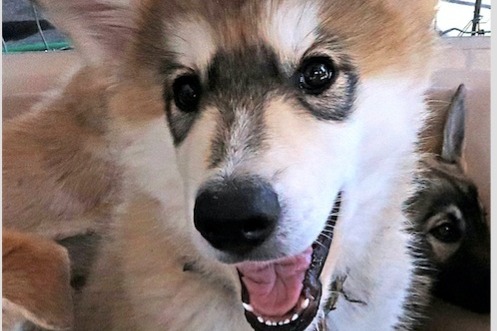 For those who have ever felt that amazing connection with a dog, consider donating to help bring these pups the lives they deserve. All proceeds will go directly to pay for the following: 1) food purchases 2) Fixing over 70 adults 3) Health certification for each dog so they may be placed 4) Vet services 5) Transportation 6) other miscellaneous expenses directly related to a rescue effort. No funds will be given directly to the organization we are rescuing these animals from. All fees will be paid directly to vendors and Plan B to Save Wolves is reviewing all expenses and approving payment. 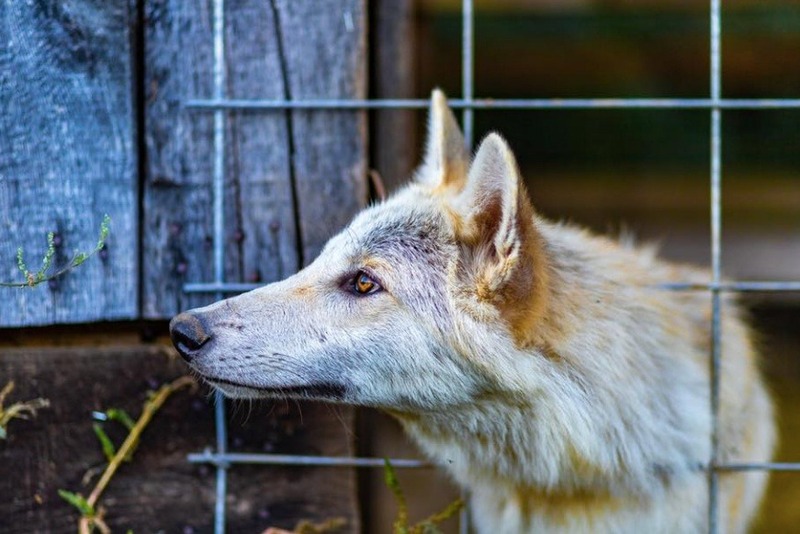 Who we are: Plan B to Save Wolves is a designated 501c3 overseeing the administration of funds for the project as per the paragraph above ( www.Planb.Foundation). We are located in Sedona, AZ. Funds will NOT be given to the organization directly. E.g. veterinarians will be paid directly. David Scharps, located in Los Angeles, CA, is a private individual who became involved because he has the desire to try and save these animals, the time and the means as he has donated personally to this effort. Susan Weidel of W.O.L.F. (located in Colorado) is helping to facilitate the adoptions and placement along with several other sanctuaries across the country. Please note, because the funds are being distributed directly to a nonprofit all donations are now tax deductible. Please contact Betsy at the email below if you require additional documentation for your tax professional. None of the parties involved have any relationship with this organization or its owner prior to this rescue effort. Many have been trying to resolve this situation and we are simply offering our resources to continue the effort and achieve some sort of success and save these animals. The entire HDW Rescue team is happy to report that all the wolfdogs and puppies have been saved, and none were euthanized by Lassen County. This enormous effort was a success despite a series of significant obstacles including HDW’s remote location, capacity and resources available in that area, no assistance from larger organizations, the high costs associated with a rescue of this level, and the logistical details and planning in getting all of the dogs health checked and vaccinated before they could be transported. • Dozens and dozens of rescue groups and individuals across the country believed in this rescue and were integral to its success. • The total lives saved is 179 as several litters were born after several pregnant mothers had left the property. 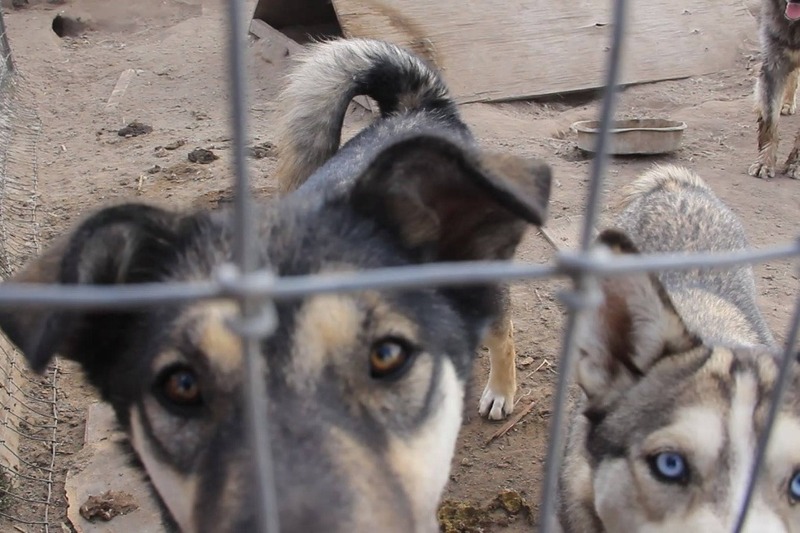 • Approximately $80,000 has been spent to date to alter, vaccinate, feed, transport and in some cases provide fencing, ongoing medical care and more for all 179 dogs which equates to about $446 per life saved. • Over 20,000 miles were logged in by various transports across the country, rescue groups, and individuals who traveled from all over the country to Ravendale to help with the rescue. The rescue is a success but not yet over. 1. There are 19 altered dogs left at HDW. The dogs that are left include several very senior bonded pairs and some service dogs. There are only a few that are truly adoptable. We are continuing to work with HDW on their care as well as food donations. HDW is also tearing down all the empty kennels. Plan B is in constant communication with HDW to provide ongoing assistance where needed and to ensure compliance. 2. There are two females at HDW that will be transported to be reunited with their packs in the coming weeks. Funding for those transports, estimated at $850-$2000, is needed. If you would like to reunite a family please donate here. 3. Eagle Tail Mountain Wolf Sanctuary took in 42 adults. Apex Protection Project just delivered two pallets of donated food, and we are working with them on finishing up the spay and neuter surgeries. 4. Pets Return Home took in the bulk of the puppies, and they all need homes so please contact them via their website for an application. 5. Omen Creek Sanctuary in Ohio is fundraising to continue to build their sanctuary as well as alter the ones they rescued. Donations for their ongoing needs are greatly appreciated. 6. 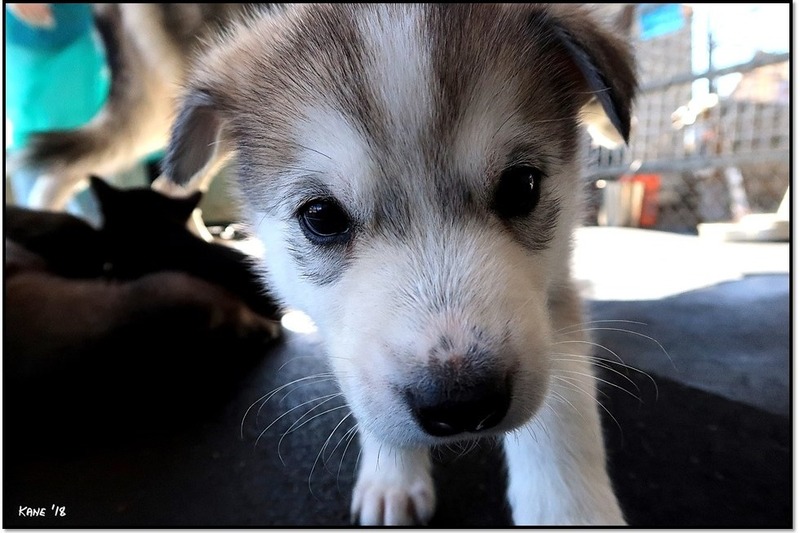 Maples Huskies in Tennessee is doing wonderfully with their 11 and would appreciate any donations for their ongoing care. We have one more to transport to them to reunite her with her family. You can help by donating here. Donations are still needed for these final costs. We are almost done, thank you for continuing to support and share our effort. The rescue team fully understands there remains doubt within the rescue world and beyond that HDW, now “saved”, will just revert to breeding again. Plan B and HDW have a signed contract entered into the legal record in Lassen County that this will not happen again, as well as some other parameters, to ensure ongoing success. For those who feel this was a “waste of time”, our only comment is 179 lives were saved and regardless of the future, they have a new lease on life. We could not, would not walk away and are very happy we didn’t. What many said was impossible has been accomplished. In fact, many told us to walk away. But we didn't. 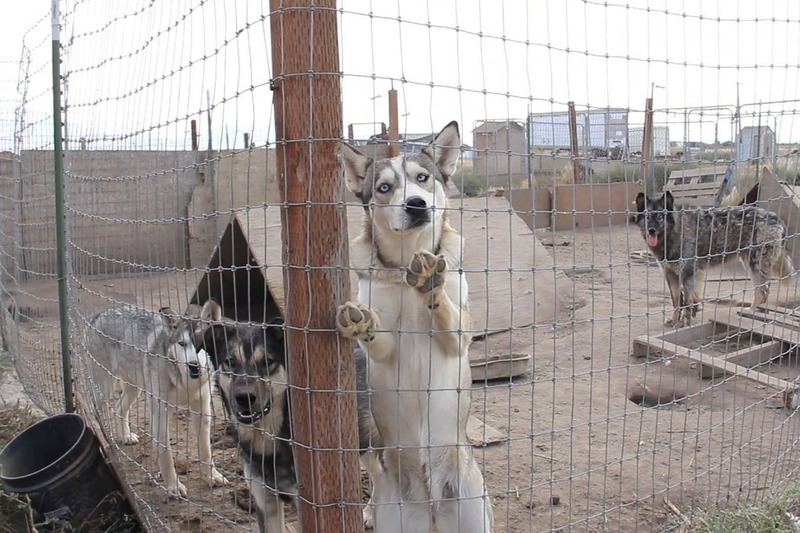 As a result and due to the efforts of many rescue organizations and individuals, 161 dogs have been rehomed from High Desert Wolf. As of the writing of this email, all the dogs have a place to go and we are trying to finalize the details of the last transport of 12 dogs to leave by this Friday. The mobile vet was there yesterday and will be there through today performing alterations before they leave. Multiple types of transport are leaving over the next couple of days ranging from picking up one puppy to a multi-vehicle transport of 26 dogs. 1. 19 dogs will be left on the property, most of them temporarily until we can rehome. Some are older, some have special needs so we now have the breathing room to find them the best homes. All the dogs left on the property are altered. 2. Pets Return Home has over 40 puppies and their Moms. They are in continuous need of volunteers, donations and eventually adopters. 3. 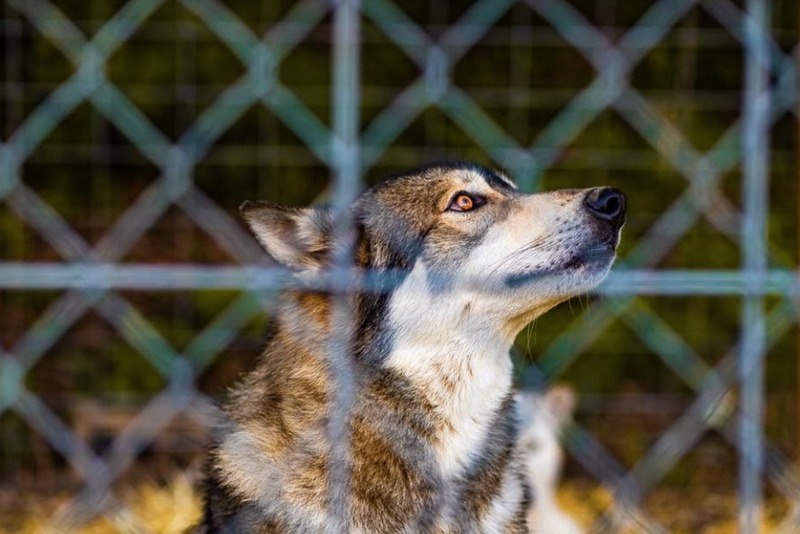 Eagle Tail Mountain Wolf Sanctuary took in the largest group of adult dogs as a stop-gap measure to get them out by the deadline. 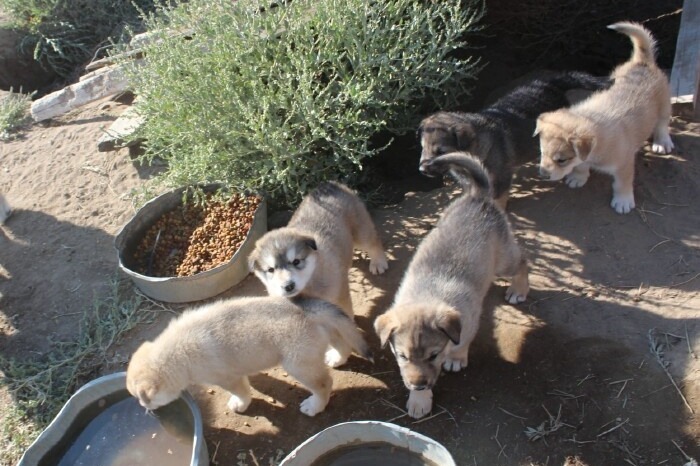 They will be looking to place most of them through adoptions and or place in other rescues as more time is spent with each to better assess their behavior and specific needs. We will continue to work with them and help them through this process with sourcing safe and sustainable homes as well as financial support. 4. HDW and Plan B have formed a very good working relationship, which we feel was a key element to the success of this rescue, and we will continue to work together. The plan is to remove/repurpose all the unused fencing and to stay in communication to ensure the agreement with Plan B is upheld. Furthermore, a food donation is being arranged for them as we work to rehome the majority of the remaining dogs. Your ongoing support of this rescue is greatly appreciated as we continue to bring this to completion. To say this rescue was logistically complicated would be an understatement. We endured and overcame significant challenges under crushing deadlines and it was all-consuming for many of us. Even now details continue to change by the hour as we work to finish by this Friday's deadline. Plan B is incredibly honored to have worked with a great team who decided these dogs did not deserve the fate determined for them by the County. Right now we have 99 placed, 37 committed pending site checks and 25 to place. The costs are significant to transport all these dogs to their different destinations plus spay, neuter and fencing. Please keep sharing and supporting. Apologies for the delayed update. It has been a bit whirlwind as we move the dogs to various rescues. Unfortunately, the Sedona location for 12 of the dogs did not work out so they went to the Ohio location. We are still vetting Tennessee which is looking really good and reaching out to all rescues and organizations across the country. At this point we have about 60 dogs needing to be rehomed before 11/2 and so we are trying to see if rescues could take a few, so if 15 rescues stepped in and took 4 we would save them all. In the meantime, we are continuing with vaccinations and alterations, plus supplying food. Plan B to Save Wolves now has a legal binding contract with HDW as the party responsible for the rescue and her agreement to never breed again as well as other binding parameters. That document was entered into the record at the hearing and is now a legal binding contract. We know that there was some concern as to what happens after all the dogs are rescued and we are making sure to the best of our availability this never happens again. In this moment we need anyone who has contacts with the media and rescue organizations who could take dogs. Please contact me immediately if you do at b@planb.foundation.